Mahindra and Mahindra, the popular Indian UV manufacturer, has come up with a new W9 variant of the XUV500. As is understood from the name, the W9 trim finds itself slotted between the W8 and the W10 models. The new Mahindra XUV500 W9 price has been kept at Rs 15.45 lakh (ex-showroom, New Delhi). This makes the new model up to Rs 90,000 cheaper than the W10 trim. 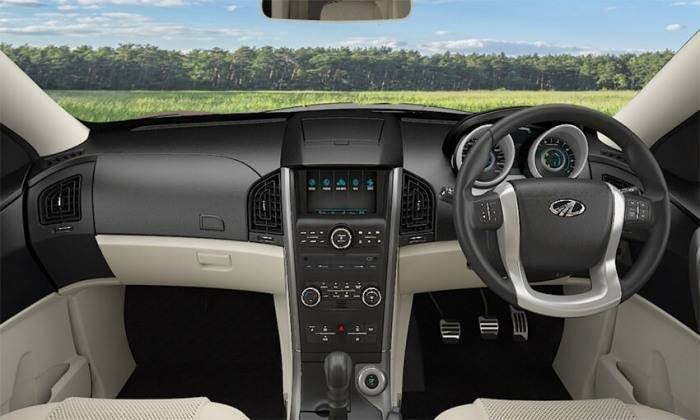 The new XUV500 W9 comes with a host of features such as an Electric sunroof with Anti-pinch, Reverse Camera with Dynamic Assist, 7-inch touchscreen infotainment system, Ecosense technology, android auto, emergency call, dual airbags and ABS with EBD. The new W9 trim offers a choice of manual and automatic transmissions. With the launch of the new model, the XUV500 now offers the electric sunroof in two trims – W9 and W10. There are no changes in the specifications and mileage. Powering the XUV is a 2.2-litre mHawk Diesel engine that outputs a maximum power of 140 PS along with a peak torque of 330 Nm. The engine comes mated to a six-speed manual transmission as standard. A six-speed automatic is available as an option. The new W9 variant of the XUV 500 has gone on sale at an ex-showroom price of Rs 15.45 lakh. This makes the new variant up to Rs 90,000 cheaper than the W10 trim. Also, the W9 comes with an electric sunroof, which means it becomes the second trim of this SUV to offer the premium feature. The new model finds itself slotted between the W8 and W10 trims. The W9 and the W10 become the only two models of this SUV to offer an electric sunroof. The new XUV 500 W9 model becomes the second-highest trim of the popular SUV. No surprise, then, that it comes with a host of features. The highlight of the features list is an electric sunroof with anti-pinch feature. The XUV500 W9 doesn’t come with any updates for its specifications. it is powered by the same 2.2-litre Diesel engine that powers the regular variants. This mHawk Turbo Diesle engine outputs a maximum power of 140 BHP and a peak torque of 330 Nm. The new W9 trim can be bought with either a 6-speed Manual Gearbox or an Aisin-sourced 6-Speed Automatic transmission. However, the new model misses out on the 4WD. Fuel efficiency figures of the new 2017 Mahindra XUV500 W9 remain exactly like those of other trims. Hence, expect a mileage of 13-14 kmpl in real-world driving conditions. As the new addition is merely a new term, there isn’t any change in the design of the SUV. The XUV500 W9 looks exactly like all other models, that is if you can ignore the electric sunroof. Other than this slight discrepancy, the SUV comes with all the updated that made their debut on the facelift. These include a new front bumper and an updated grille along with new design alloys and a new paint scheme. Even the interior saw updates in form of new colour tones and additional equipment. As the design remains the same, there is no difference in the dimensions. The XUV500 W9 competes with the high-end variants of the Hyundai Creta and the Renault Duster. It will even compete with the upcoming Renault Captur SUV. It may be noted that the gap between the prices of petrol and diesel has narrowed down by a considerable margin and petrol-powered cars are fast regaining popularity among the car buying lot. Also, the very fact that diesel cars are pricier than their petrol-sipping siblings has ensured that those with low monthly running have preferred sticking to the gasoline-engined vehicles. Lastly, higher demand for petrol cars with automatic transmissions in export markets has been a reason enough for domestic car makers to shift their focus back to developing petrol cars. In all chances, Mahindra will soon come up with a petrol variant of the XUV500 and you can stay tuned to Car Blog India for all the Mahindra XUV500 Petrol Automatic launch details. 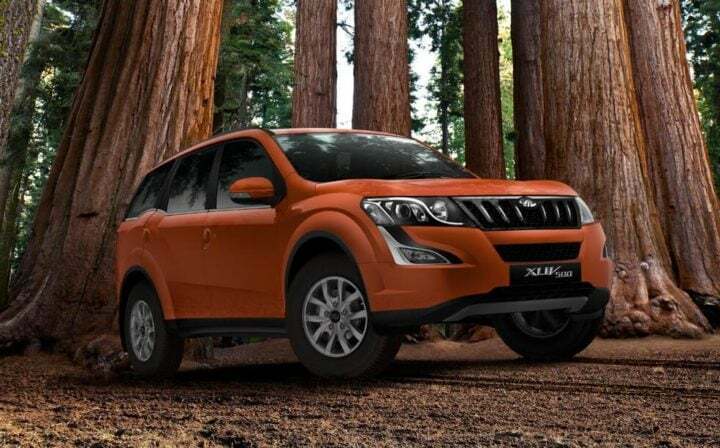 Mahindra and Mahindra is planning to give the XUV500 yet another facelift. There isn’t much info available on the styling updates that the upcoming model will receive. Expect tweaks to the nose. There could be a new front bumper and grille on offer. The headlamps and tail lamps could be updated too. New paint shades and a new alloy wheel design could be on the cards as well. On the inside, expect to see the inclusion of new features and a change in the general colour scheme. More details will be available closer to the launch date. So, what do you think of the new Mahindra XUV500 W9 trim? Do you think the price advantage it enjoys over the W10 makes it a worthy buy? Share your views with us by penning them down in the comments section below. Also, stay tuned to Car Blog India for latest news updates on cars and motorcycles in India.